A great big thank you to Nancy at My Ancestors and Me for giving me the Liebster Award! This is especially nice coming from Nancy because I'm an avid follower of her blog. Liebster is a German word that means friend, dearest, adored, beloved, chosen one. 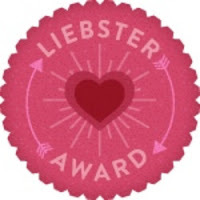 The Liebster Award is given to bloggers who have less than 200 followers. The whole point is to encourage bloggers to keep chugging along and to help spread the word about interesting blogs to a new audience. The rules for the award vary. Some bloggers ask for a list of questions or random facts to be answered and some just post their nominees. I think the facts are fun so I've added them to my rules. List 11 random facts about yourself/your blog. Let the nominees know by leaving a comment at their sites. Add the award image to your site (optional). 1. I could eat an entire box of Cheez-Its in one sitting. 2. I only know of one blood relative reads my blog (thanks Aunt Mary!). 3. I am not a big fan of lettuce or what I like to call "crunchy water." 4. I have favorite ancestors and I'm not ashamed. 5. My favorite place in the world is Kansas City, Missouri. 7. I wish I spoke German. 9. I enjoy moving every three years. 10. I only let my children watch TV shows that don't drive me crazy. 11. I suffer from lazy OCD. I hate clutter, but I'm too lazy to do anything about it. 2. 2338 W. Washington Blvd. If I were at your house, we could eat 2 boxes of Cheez-Its in one sitting! Congratulations on your award! I'm off to check out your nominees. Heather, thanks so much for the nomination! I've really appreciated your comments on my blog, so this was a nice surprise. Ausgezeichnet! Herzlichen Glückwunsch zu Ihrem Auszeichnung.